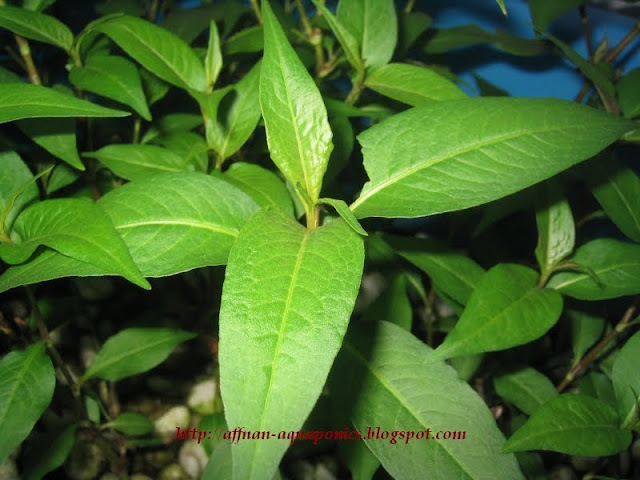 In Malay its called Kesum in English its Knotweed Leaf, Phak Phai in Thai and its scientific name is Polygonum minus. 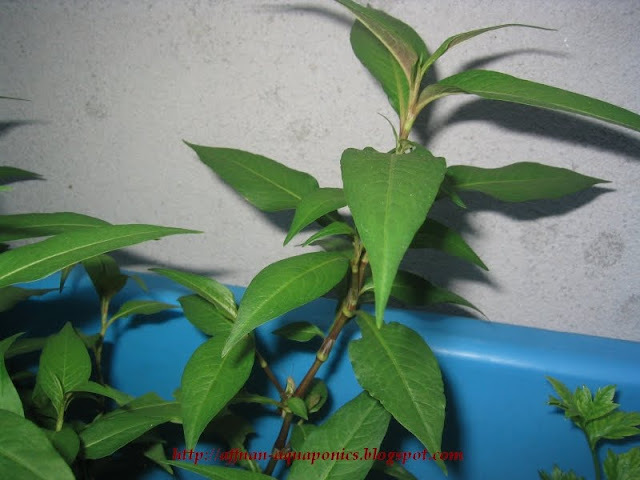 This plant its leaves are use for food flavouring and also can be made into Tea. Native plant of S.E Asia covering Malaysia, Thailand, Vietnam and Indonesia. It grow wild in damp places near streams or lakes. 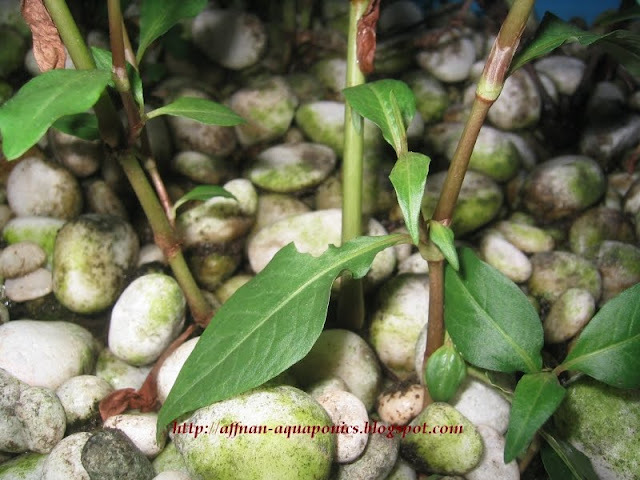 Another ideal plant for Aquaponics since its love damp and wet places. Kesum can be easily grown from cuttings and spread readily within the growbed. They reach the height of about 1 meter. Dishes from S.E. Asia will use this leaves as flavouring, and the smell is appetizing especially in Laksa or Asam Pedas dishes. They can also be eaten raw or make into Tea. 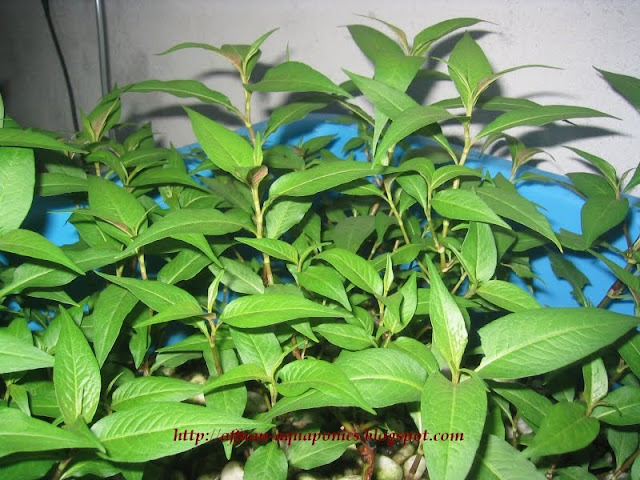 To grow Kesum you need cuttings from matured plants about 6 ~ 8 inches in length and directly planted to growbed, after 2 weeks they should be sprouting new shoots or leaves. Another good candidate for the kitchen growbed and easily grown during initial stages of the growbed conditioning. 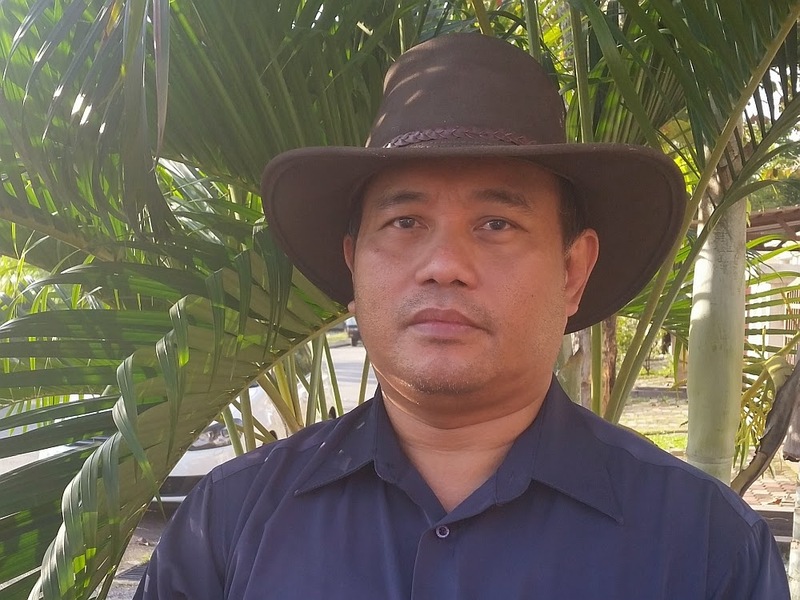 dimana saya bisa mendapatkan pohon atau bibit daun kesom? Di market atau pasaraya pasti ada yang dijual, guna yg itu untuk buat tanaman.